Memory Boost – Phone Booster, RAM Cleaner to make your phone faster and restore memory space. Just go speed up your phone! Has your phone become slow? 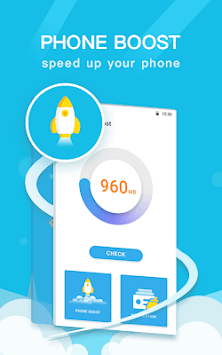 Memory Boost can instantly optimize the performance of your phone, which includes accelerating web browsing speed, improving gaming experience. Help Boost Your Phone’s Speed with One Tap! With one click boost, the Android Accelerator will make phone faster by 50%!!! Boost your games and other apps by freeing up RAM! With Boost Cleaner - Phone Booster & Phone Cleaner, deep power cleaning unnecessary processes you choose to go speed up your device! One Click to boost your games and apps! Make your phone powerful! Best power Cleaner & ace Phone Cleaner!! Annoying notifications on your device driving you insane? 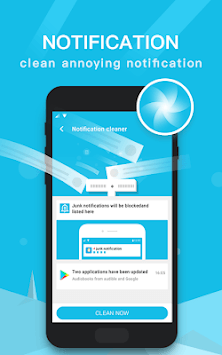 Memory Boost helps to compile all useless notifications and silence them, keeping your device clean, quiet and more efficient than ever before! Memory Boost is your best choice to make your phone powerful! Just boost up your phone! All these features above keep your Android phone clean and fast, safe and healthy. If you like it, please support us by rating it ★★★★★. If you have any suggestions or feedback, please feel free to write contact us.